Receive a Dubious Email: Don’t Click! Delete! Yours truly received the email below today, ostensibly from UCLA. Did you get it? If so, you might have noticed that it doesn’t come from a UCLA address. Best advice: Don’t click! Instead, delete. Protecting your email account is our primary concern.This has become necessary to serve you better. © Copyright 2013 IT help desk Management Team. 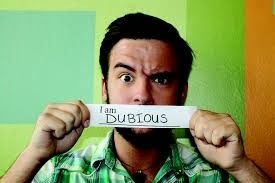 Always be dubious! Anyone can claim anything.